On Thursday, June 7, approximately 475,000 litres of oil started pouring into the Red Deer River from a ruptured pipeline owned by Plains Midstream Canada. By the next day, Premier Alison Redford was on scene, eager to show she cares. The letter was signed by a wide array of groups including the Alberta Surface Rights Group, the Alberta Union of Provincial Employees, Greenpeace Canada, the Confederacy of Treaty 6 and more. By July 20, the groups had gotten their wish. Sort of. Energy Minister Ken Hughes announced that the government would conduct a pipeline review, but the signatories are upset that they have been left out of the conversation while the government consults with players in the energy sector, and they have raised concerns about the review’s effectiveness and impartiality. Specific concerns are that the provincial regulator, the Energy Resources Conservation Board, was put in charge of hiring a third party to conduct the review, the scope of the review is too narrow, and the month-and-a-half timeline for finishing the report is far too fast for any meaningful examination. 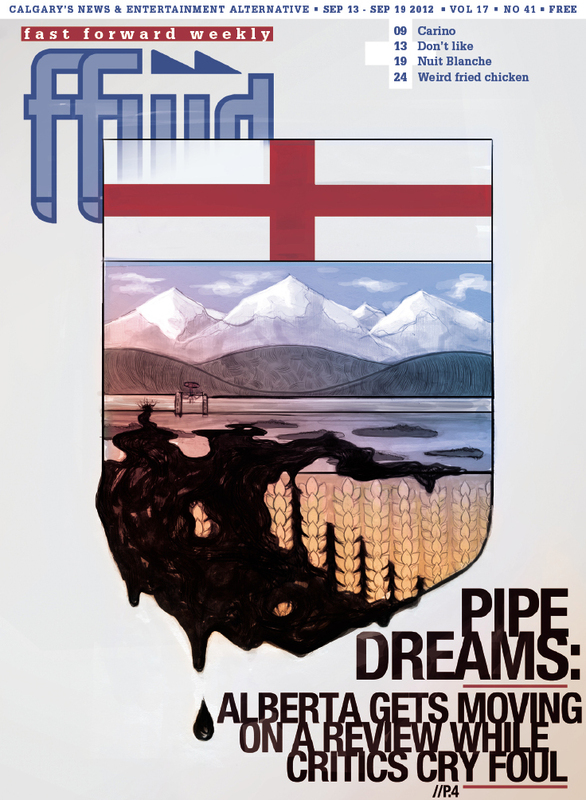 Hudema doesn’t hold out much hope for the same kind of result emerging from Alberta’s review. “Unfortunately we have a lot of questions about the review process and that’s, again, one of the reasons why we wanted to meet with the premier,” he says. To that end, the 54 groups have initiated a petition to try and force Redford and Hughes to meet with them. In just over a week the petition collected over 5,000 signatures, but the response from the government has been silence. Albertans have reason to be concerned. Although most oil, gas and energy byproducts reach their destination safely, the ERCB’s latest figures still highlight the dangers. In its 2010 Field Surveillance and Operations Branch provincial summary, the regulator says there were 687 incidents spread over Alberta’s more than 400,000 kilometres of pipeline in 2010, which resulted in 1,175 recorded “liquid releases.” In total, approximately 25 million litres of produced water (an oily byproduct of extraction) and three million litres of liquid hydrocarbons were released into the Alberta landscape. 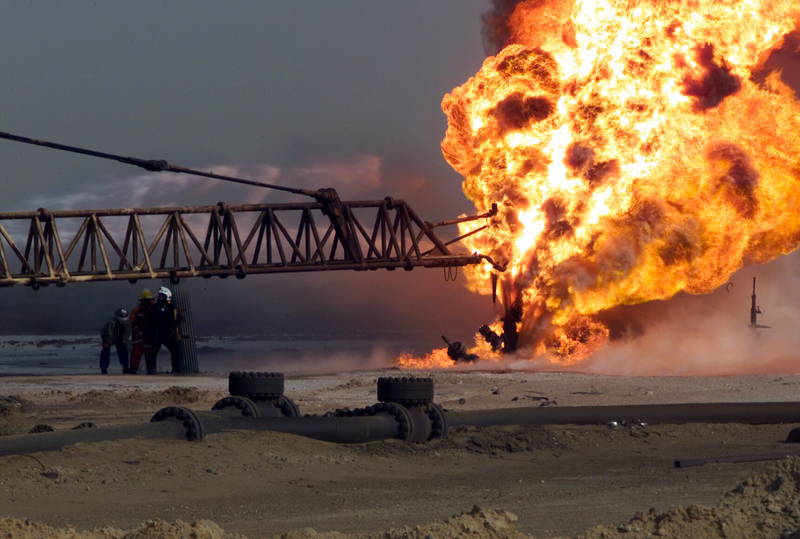 The ERCB directed 30 pipeline operations to suspend activities in 2010. Of those shutdowns, 47.3 per cent were due to internal pipeline corrosion, followed by external corrosion at 11.2 per cent. Of course, most Albertans don’t hear of these “incidents.” Many happen far away from urban centres and the watchful eye of media. But there were three high-profile spills this year that brought the problem to public attention and forced the government’s hand. Earlier this year, 230,000 litres of heavy crude spilled onto farmland northeast of Edmonton and 800,000 litres of oil gushed near the border between Alberta and the Northwest Territories. Including the spill in Red Deer, these three “liquid releases” alone have let loose 1.5 million litres of oil in 2012. Of course, the recent publicity around oil pipelines in Alberta has as much to do with pipelines that haven’t been built as it does with oil clogging up rivers and muskeg. TransCanada’s Keystone XL pipeline through the States and Enbridge’s Northern Gateway that will transport oilsands bitumen to the West Coast are both high-profile fights that have galvanized public opinion and focused attention on Alberta. Her other point of view is that the government isn’t fulfilling its role when it refuses to listen to all sides of a story. In this case, the 54 groups representing a broad swath of dissenting Alberta voices. “We all live here, we all breathe this air, we all have children that we want to be able to drink the water. So, having the government divide and conquer is not helpful,” says Blakeman from her office in Edmonton. Nobody thinks that the government should be ignoring the oil and gas industry, at this time or any other, but it’s a familiar complaint in the province that the government’s ear is a little too attuned to the messages put out by the royalty-gushing industry. The signatories of the open letter to Redford aren’t happy about the ERCB playing a role in any pipeline review, insisting that it’s too close to the industry that it oversees. The process for the review allows the regulator to not only choose the third party that will review pipelines in Alberta, but also to review that third-party report and submit its own report to the energy minister with any recommendations it thinks are necessary. On September 10, the ERCB announced that it selected Group 10 Engineering of Calgary to conduct the review, citing their technical competency. In total four organizations were vying for the job, but the ERCB won’t comment on who else was in the running. Group 10’s engineering managers, Theo Abels and Daryl Foley, both have years of experience working in the oilpatch, from regulatory compliance to technical inspections. Of course, hiring an organization with so much experience is a double-edged sword, bringing expertise on one hand, and cries of bias on the other. According to Hudema, it’s another indication that the government isn’t serious about the review. “I think what most Albertans were expecting was a very balanced review process that would not just look at things from an industry perspective, but really from an independent perspective, and would hopefully include some of those other voices in the process,” he says. The ERCB, by necessity a thick skinned organization, isn’t fazed. A great deal of attention has been paid to two pipeline projects — one that will see Alberta’s oilsands bitumen transported across the U.S. to the Gulf of Mexico (Keystone XL), and one that will run it through the Great Bear Rainforest in B.C. for shipment to Asia (Northern Gateway). The projects have serious implications, ranging from potential environmental devastation due to a spill, to our further dependence on a resource that is long past its gone-stale date. But there is another implication, specifically tied to the Northern Gateway pipeline and the inevitability of increased investment from state-controlled Chinese companies. At what point does investment from an autocratic regime undermine Canadian claims to ethical oil, if such a thing ever really existed in the first place? Journalist David Ebner, in an article in this month’s Alberta Views magazine, asks an important question: how much foreign investment, specifically from state-controlled Chinese enterprises, is too much for Canada? What if PetroChina buys Syncrude? The argument for Canada’s oil somehow being more ethical than other producers in the Middle East, Africa and Latin America, was first posited by conservative muckraker Ezra Levant. It should come as no surprise that his book Ethical Oil: The Case for Canada’s Oilsands has essentially become a guidebook for pro-oilsands rhetoric and the Conservative government of Canada. Alykhan Velshi, a former director of communications for immigration minister Jason Kenney, started ethicaloil.org in order to spread the ideas first developed in Levant’s book. There are flaws in the rhetoric, especially around the environmental implications of the oilsands and whether a product that is harmful to the environment can ever truly be ethical, no matter if one jurisdiction takes more care than another. But what is ignored is whether increased investment from state-controlled business from China undermines, or will undermine, the claim that to buy from Canada is better than, say, Saudi Arabia. Now, China isn’t sweeping through the oilsands region, hungrily consuming companies and laying the groundwork for a takeover of the reserves. Even if the Chinese government had an interest in doing that, the Canadian government would step in and regulate the transactions. China will never own the oilsands. But it is steadily increasing investments. Over the last few years, Chinese companies have invested approximately $10 billion in the oilsands. Considering the billions of dollars of investment, capital and profits flowing from northern Alberta, that’s not a terribly high number. But that number, by all accounts, is going to go up. Ron Liepert, Alberta’s energy minister, Prime Minster Stephen Harper and Alberta’s man-of-many-hats Lloyd Snelgrove (president of the treasury board, minister responsible for corporate human resources and minister of finance and enterprise), have all indicated that increased investment in the oilsands by China is not only positive, but inevitable. Recent talks between government officials and business leaders from China and Canada suggested that Chinese investment in the oilsands could triple in the coming years, though without the Northern Gateway, that investment prediction could fall. That’s an interesting choice of words: Thuggish censorship tactics. It’s a phrase that applies just as well to the autocratic Chinese government, which stifles dissent on a regular and chilling basis. There is a long list of infractions that are even worse: the wholesale destruction of Tibetan culture, the suffocation of the Uyghur people or the Tiananman Square massacre, to name a few. But if the connection between Chinese investment and claims of ethical oil are a little too abstract for you, then perhaps you should consider this: In order to ship bitumen through those shiny new pipelines, the heavy oil from Alberta must be diluted. Often, that means blending it with light oil. That light oil comes from some pretty unseemly places, including Saudi Arabia. We are literally blending the so-called evil oil with the ethical stuff. So, what happens when good oil meets bad? And what happens when peace, order and good governance gets in bed with a tyrant? Who knows, but it doesn’t sound very ethical, does it?